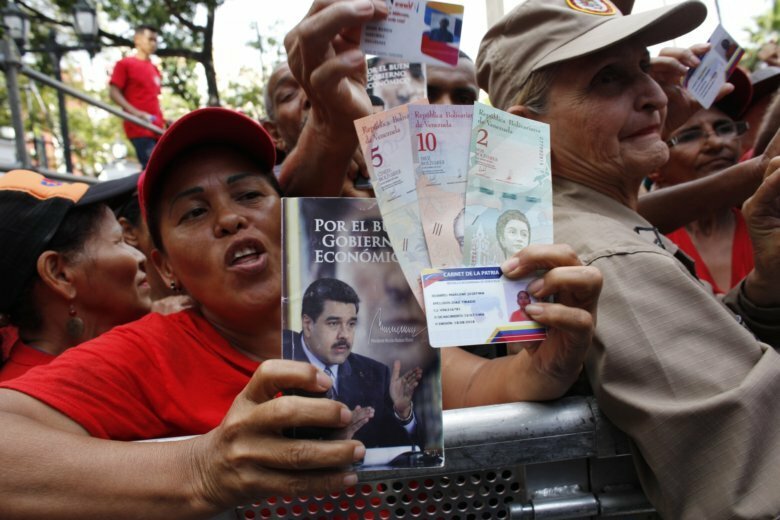 CARACAS, Venezuela (AP) — When Jose Humberto Vivas needs to trade dollars for Venezuelan bolivars, he usually flouts the nation’s rigid exchange controls by turning to illegal currency traders. Little noticed amid the turmoil unleashed by the opposition’s renewed push to oust President Nicolas Maduro, Venezuela’s central bank devalued the country’s currency on Jan. 28 by 50 percent, eclipsing the parallel black market rate. Russ Dallen, CEO at Caracas Capital Markets, said dollars could now come into Venezuela’s empty state coffers through state-regulated wire transfers from the estimated 3 million Venezuelan migrants who have fled the country’s instability. Up until now, they have mostly used black market traders to send an estimated $1 billion a year to loved ones, but could be enticed into the official system if the official exchange rate stays favorable.